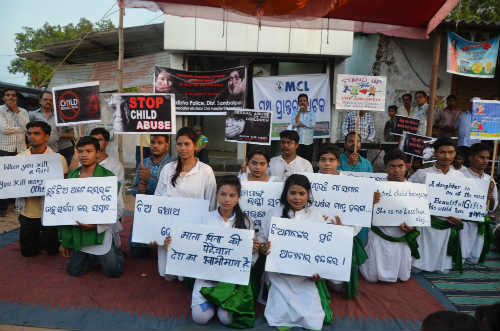 Burla: People applauded Mahanadi Coalfields Limited (MCL) for organising street play “Sukanya” in association with Sambalpur University to supplement Odisha Police’s “Paree Express” initiative for sensitising people against increasing incidents of sexual abuse of minor girl child in the state. “The message went straight to the heart,” said Mr Krishna Reddy, a local after watching play at Chiplima here. 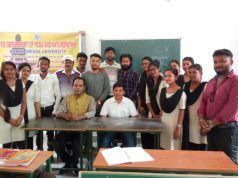 MCL had organised street play “Sukanya”, scripted, directed and performed by the artists of Performing Arts Department of Sambalpur University at Chiplima, Gaushala Chowk and Deendayal Market Burla. In the light of increasing incidents of girl child abuse, the play pointed out vital issues and the precautionary steps to ensure children safety. People applauded the performance of artists and the message conveyed by the play, which was organised by MCL on a request by Burla Police. Hon’ble Chief Minister Mr Naveen Patnaik on Sunday last flagged off specially-designed vehicles ‘Paree Express’ for a 15-day-long mass awareness campaign initiated by Odisha Police in association with UNICEF.